These effective and unique moves will work your core like never before. When it comes to working the mid-section, we've tried it all: crunches, sit-ups, and planks of all kinds. They're all great exercises, but let's be honest: the same old routine gets boringâfor your mind and your muscles. 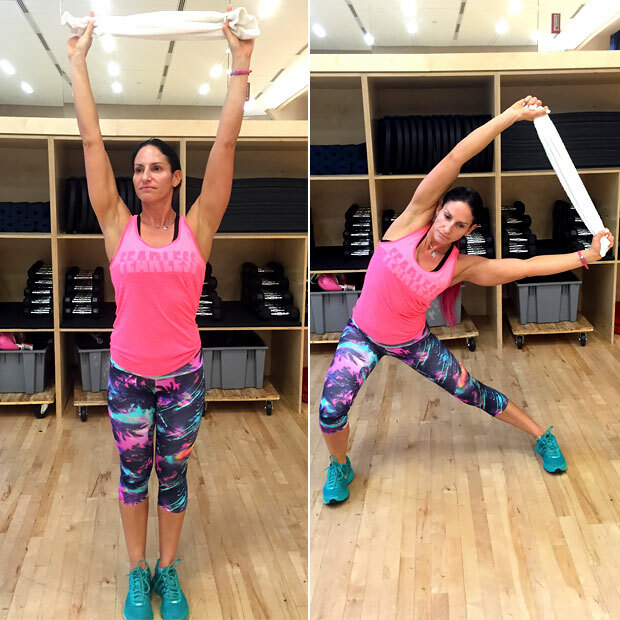 I myself needed some major "ab-spiration," so I asked Natania Goldberg, area group exercise manager for 24 Hour Fitness in Los Angeles, for help. 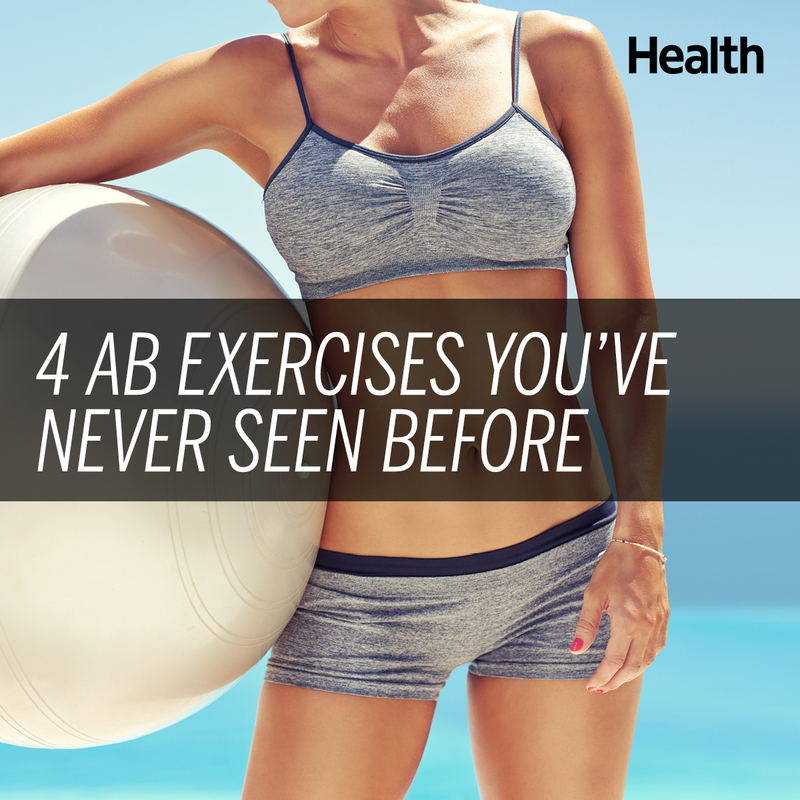 I've never seen these ab exercises before (and ahem, I do this for a living) so I'm willing to bet you haven't either. These effective and unique moves will work your core like never before. To seeÂ Do 15 reps of each move, and repeat the circuit three times. Aim to do the full workout three times a week. This exercise works your deep abdominals. Because it requires every muscle in your mid-section to work together, it's also a great exercise for warming up your abs for other exercises. You'll need one regular party balloon. Try it: Lay on your back with knees bent, finding a neutral position for your back. Take a deep diaphragmatic breath in with as much air as possible, pushing out your belly. Then blow into the balloon slowly, pushing out as much as you can. Feel your deep abdominal muscles activate as you continue to try to blow into the balloon. This fat-burning exercise is very versatile because it hits your abdominal muscles from every angle. When you reach your arms overhead your core needs to stabilize. Your lats (back muscles) also work with your obliques (sides) in this exercise, so you are sure to feel this working from the belt up. You'll need a small towel. Try it: Hold the towel over your head. Step out to left side sitting back into right hip (be sure the knee isÂ tracking over the toes) and straightening left leg. At the same time, lean over your left side, forcing your core to keep you in one plane. Return arms overhead, and then reach towards the opposite side while still holding your lunge. Return to standing with arms over your head, and repeat on the other side. Most people think of running as a forward-only motion, but there is actually quite a bit of side-to-side and turning action going on above your waist. As you run and your arms swing back and forth, your abs are hard at work providing a stable platform for your limbs to work against. This move takes that idea minus the running part. Try it: Sit on the floor with legs out straight and squeeze the inner thighs together. Maintain a nice tall spine, shoulders back, and elbows at 90 degrees. Quickly start driving your arms up and down. Concentrate on moving from the elbow down, and driving the other forearm up while you squeeze your core muscles. Now finish the circuit out by working your absÂ and getting your heart rate up. Try it: Get into plank position, but with hands on floor, slightly wider than shoulder width. Pull one knee forward under your body to same-side elbow. While holding upper body in place, alternate leg positions by pushing hips up and immediately extending forward leg back and pulling rear leg forward under body, like a regular mountain climber. The twist: While doing this, move your legs in a constant motion to the right, like you're body is one hand of a clock. When you've gone as far as you can go without moving your hands, you'll travel back to the left, all while continuing to alternate your feet in a continuous fashion.